. 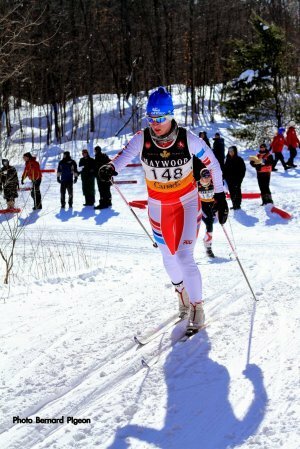 : Eastern Canadian Championships 10/15km classic Mass Start Feb. 1, 2015 :: Ski XCOttawa.ca :: Skiing in Ottawa and Gatineau Park :. 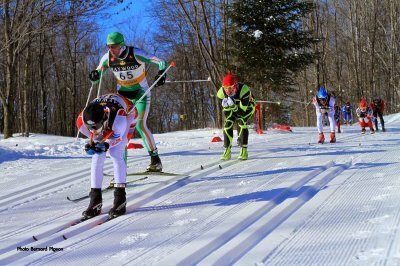 With frigid temperatures persisting, the newly fallen snow of Thursday night had now had a chance to harden, making for perfect classic track conditions: rock hard but not icy. It also made life easier for our wax fabulous wax technicians, who gave us fabulous skis - many thanks again! 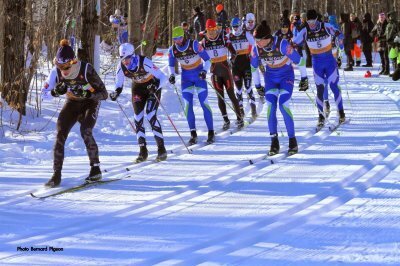 The men started at 10am and it appears that no one in the pack broke equipment in the chaos of the start, despite the obligatory crashes. Arthur managed to plough through two skiers who crashed straight in front of him unscathed. 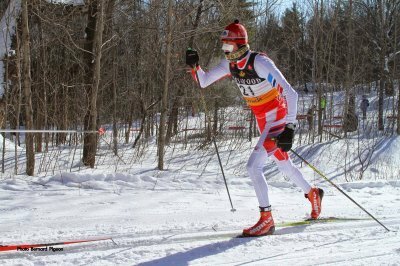 Steffan lead XC Ottawa with another very strong finish and Karl beat some heavy hitters, finishing 18th. Arthur, Andre and Mark also represented well the working class athletes. 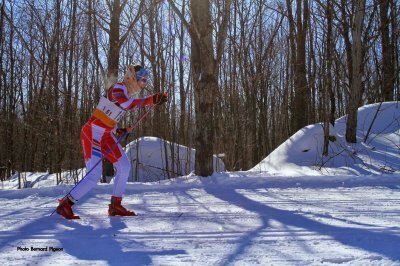 Training partner Colin Abbott was 6th and within one minute of the lead! On the women\'s side, Ingrid, Megan, Sheila and Kyla finished within the top 13, with Sheila and Megan having something of a sprint finish between them. 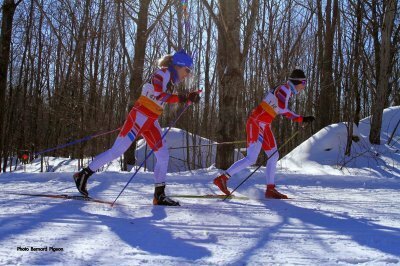 Logan Hong finished less than a minute behind Kyla and just ahead of XC Ottawa alumnus Holly Jones. We\'re proud of you, girls! ... this one is a John Langstone favourite - notice the hip-forward position! 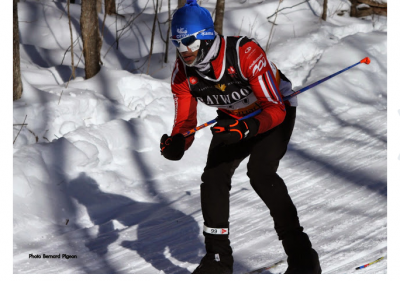 Stay tuned for more outstanding results from the Gatineau Loppet this weekend!